Description: This single started life as an A4 diorama that was entered into the Australian N Scale Convention Modelling competition 2013 Melbourne, Australia. I then added it to a module and blended the two parts together. It has two scenic sidings and a goods platform. The siding buffer stops are typical Victorian Railway wood construction. 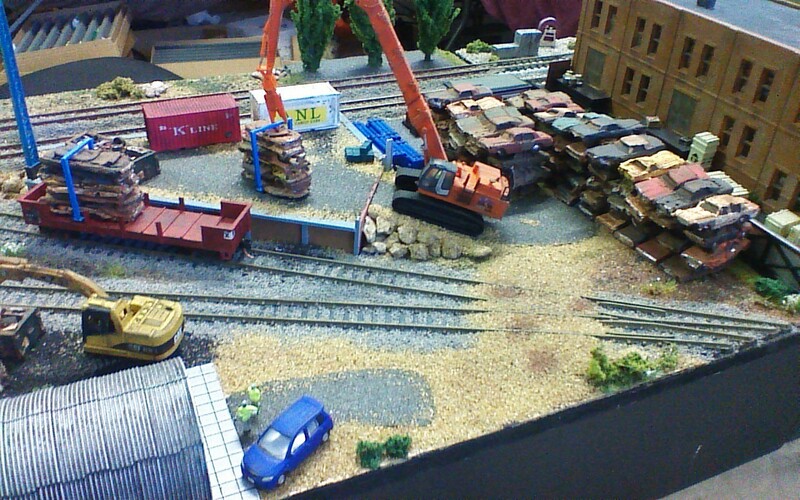 I scratch built the open wagon and painted it out to represent a Victorian railways ESX wagon. 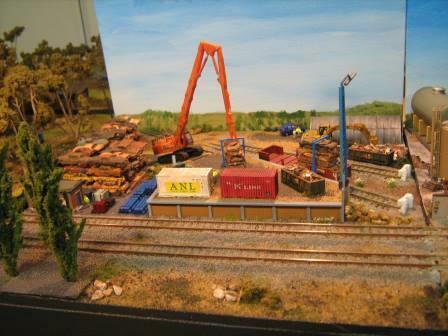 Two construction vehicles are on the module and when it was exhibited at our recent AMRA Caulfield exhibition, we again noticed how small children spot "diggers" before they notice any trains on the layout.